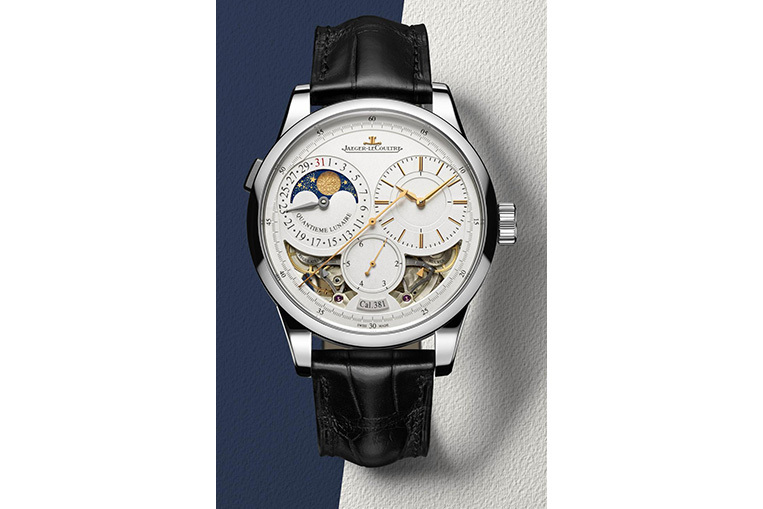 Jaeger LeCoultre Duomètre Quantième Lunaire | Watchfinder & Co.
With the Duomètre Quantième Lunaire, Jaeger LeCoultre has elegantly re-envisioned an already exceptional model. Many premium manufacturers use movements by Jaeger LeCoultre, and when you look at the Calibre 381 that keeps the Duomètre Quantième Lunaire ticking, it’s easy to see why. Manually-wound, it’s made up of 374 parts—including two barrels, that each provide a 50-hour power reserve. This is what’s powering the ‘dual-wing’ system that the Duomètre series is known for. The watch functions and the time measurement are controlled by two independent mechanisms. The result? An exceptionally precise timepiece that records an impressive amount of data. As well as being mechanically dynamic, it’s a watch that’s simply wonderful to look at. Three subdials feature on the opaline dial—jumping seconds at 6 o’clock, an hours counter to the right, and to the left, an intricately designed lunar calendar function. If that’s not enough to keep you entertained, two apertures at the bottom of the dial reveal the double delight of the movement at work.